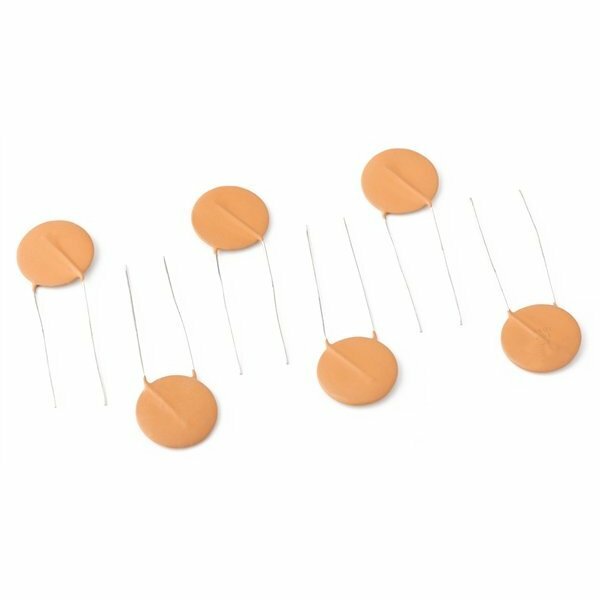 Set of six .01uF @ 600V ceramic disc capacitors, for use in preset control circuitry of most Jaguar guitars, tone circuitry of American Deluxe Stratocaster models equipped with S-1 switching, and in most 1950s and 1960s Stratocaster models. Keep your guitar or bass in good shape with genuine Fender replacement parts. 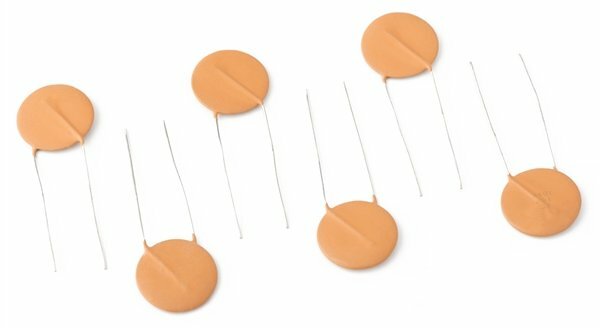 Package of six .01uF @ 600V ceramic disc capacitors. Used in the preset control circuit of most Jaguar guitars. Also used in the tone circuit of American Deluxe Stratocaster models equipped with an S-1 Switch and in most '50s and '60s Stratocaster models.